Amidst the lengthening shadow of intellectual dishonesty, pretensions, fallacious reasoning and increasing partisan politics on what is right and what is wrong, the Indian Media’s sole strength of the Freedom of Expression has of late been getting threatened. The Indian intelligentsia has been politicised, with the result the truth becomes the first casualty. This is not what we had bargained for. We, in the intricate world of the media, always expect the intelligentsia not to be indifferent to ugly facets of national happenings. Today, this has become a tall order. We believe that democracy flourishes best when the intelligentsia class, media personnel included, leads the people correctly and puts the truth - and unbiased truth- before the nation. But it so happens, that even the face of the media has of late undergone a change. Barring certain exceptions, a section of the print and electronic media has become part of big business groups owing allegiance to political outfits and their interests. We know the fallout of such a “guided mechanism”. I do not wish to go into the larger issue of the changing media face. What is gratifying is the fighting spirit among large sections of media persons and their professional bodies that know how and when to pounce upon the “authorities” to speak out and safeguard the freedom of expression and the people’s right to information. On the Rafale deal reportage in The Hindu by N Ram, the Editors Guild of India, the Press Club of India and the Women’s Press Association have rightly condemned the government’s stand and sought a review of the Official Secrets Act (OSA) as well as the law on defamation. It underlines the fighting spirit of media persons despite several odds against them. On the Rafale deal reportage in The Hindu by N Ram, the Editors Guild of India, the Press Club of India and Women’s Press Association, have condemned the government’s stand and sought a review of the Official Secrets Act (OSA) as well as the law on defamation. This is really heartening. It underlines the fighting spirit of media persons despite several odds against them. Looking back, I remember the journalists of all shades and opinions got united against Prime Minister Rajiv Gandhi’s ill-conceived Defamation Bill which had aimed at curbing their freedom. That was the media’s basic resilience which earlier got reflected when Indira Gandhi imposed the severe “emergency dose”. Even the highest judiciary of the land caved in for a while amidst the atmosphere of “committed judiciary”. Mercifully, despite some functional handicaps, the rough edges of common sense among ordinary people too came alive, even in the rural areas. Awareness is the key to the success of democracy. Hence the importance of free flow of information and opinions. American scholar Ben H Bagdikian has rightly said, “diversity and richness in the media are not ornaments of a democracy but essential elements for survival”. I am bringing these historical facts before our readers to highlight the basic point that awareness is the key to the success of democracy. Hence the importance of free flow of information and opinions. In this context, I agree with American scholar Ben H Bagdikian, who said, “diversity and richness in the media are not ornaments of a democracy but essential elements for survival. Patricia Mukhim I am raising these matters in the light of certain unpleasant happenings in the Indian media world. 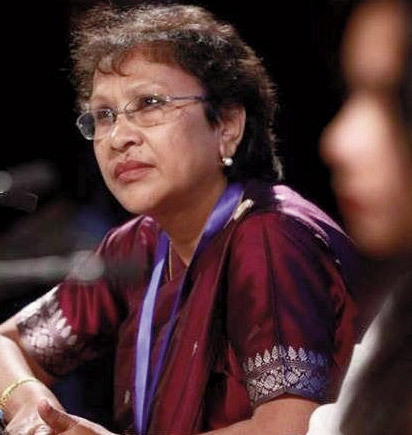 First comes the Meghalaya court’s “verdict” against the prestigious publication of The Shillong Times in which editor Patricia Mukhim and publisher Shobha Chaudhuri were held for contempt of court. The penalty of Rs 2 lakh each apart, the court said that “The Shillong Times” would be banned”. While the Editors Guild of India is expected to play its role, the management of The Shillong Times needs to take its case to the Supreme Court. I hope the apex court will live up to its reputation and rescue the honour and prestige of The Shillong Times and save the media’s and the people’s right to the freedom of expression. Then, we have before us the larger issue of reports in The Hindu on the Rafale deal by N Ram, Chairman of The Hindu publishing group. I personally know N Ram. He is a credible professional journalist of high integrity. He has clearly stated, “what we have published is perfectly justified (and) in public interest”. He has also said, “We have not stolen the Rafale deal documents”. He categorically stated that “we will not disclose our sources”. Well said, N Ram whom I admire for his high professional calibre and objectivity. As it is, whichever government is in power, two sharp-edged swords hang over the heads of media persons who are in pursuit of their professional work, especially of investigative nature. One, Defamation Law. Second, the Official Secrets Act (OSA). Both laws are colonial in their origin as well as in nature. These speak of the colonial mentality of our elected governments. They follow the three legendary monkeys who never see functional flaws of theirs; frown upon those who do not toe their lines and selectively act against those who happen to be on the other side of the politico-ideological divide. Of course, not all past governments have followed the three monkeys’ mantras. But ever since the BJP’s Modi government came to power at the Centre, we often see the love-hate syndrome towards the media has come to the fore. Besides, media personnel are often faced with the unknown factor, the judiciary mindset. The net effect is of avoidable harassment of those editors, publishers and poor correspondents who stand by the “truth”! The Rafale deal has acquired political overtones because of the play of big money in it. I do not wish to get lost in the on-going political games of the BJP v. Congress and behind the scene beneficiaries. Well, this has been the political pattern when defence deals are written in secrecy on the plea of “national security". 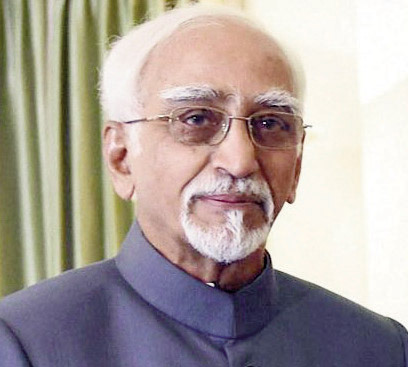 Hamid Ansari Even former Vice-President Hamid Ansari has admitted that the OSA is “archaic and irrelevant”. He said that “strident nationalism has no hesitation in transcending and transgressing individual rights guaranteed in the Constitution. It, therefore, has to be guarded against the OSA”. But, who will stand up and be counted? This job can be done by media persons backed up by the judiciary. Regrettably, India’s VVIP’s maintain studied silence while in power and speak out boldly when they are on the other side of the corridors of power. I remember during the Congress-led UPA regimes, a number of ministers promised to do the needful, but nothing was done. This is India ! Take the famous Rafale deal story. It has acquired political overtones, which is understandable because of the play of big money in the deal. I do not wish to get lost in the on-going political games of the BJP v. Congress and behind the scene beneficiaries. Well, this has been the political pattern when defence deals are written in secrecy on the plea of “national security”. 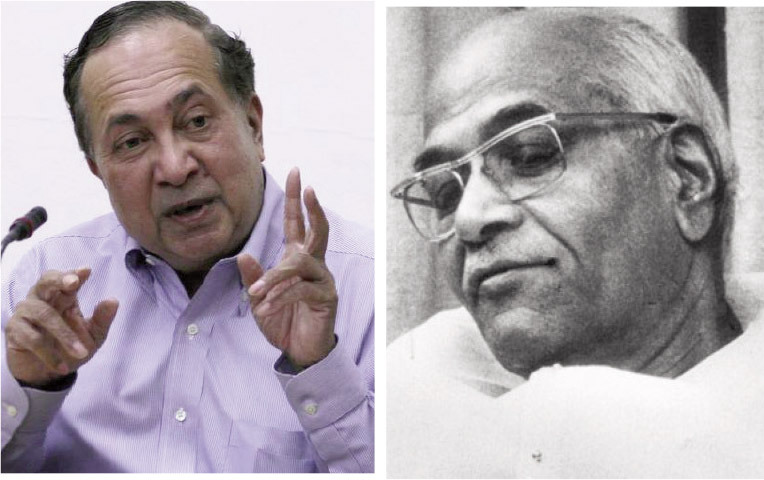 N Ram and Ramnath Goenka India has well-defined norms for selection of weapons, with no middlemen and “kickbacks”. However, in practice, nothing could be farther from the truth. We have seen this in the purchase of Bofors guns and HBV submarines. Investigative reports and certain documents published then by N Ram’s The Hindu and Ramnath Goenka’s Indian Express exposed Bofors’ “dangerous business” of hush-hush deals. Therein lies the Indian tragedy of the system sans transparency and accountability. 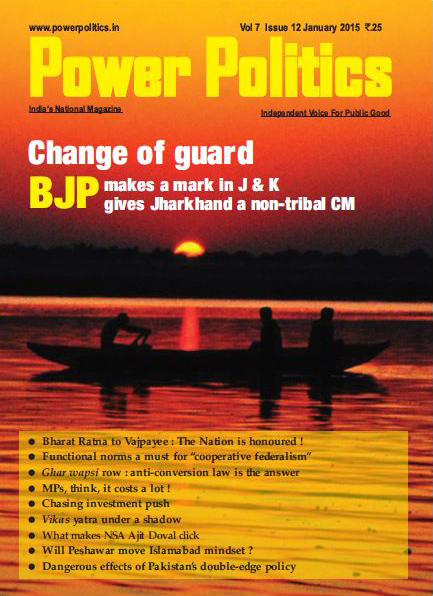 This is a telling commentary on the standard of governance even in Narendra Modi’s India today. 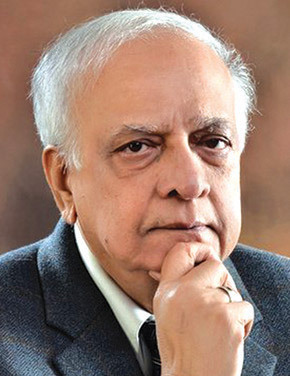 Viewed in this larger perspective, N Ram, has done a remarkable professional job with his series of write-ups in The Hindu on the Rafale deal. India’s Attorney General K V Venugopal first claimed that N Ram published documents that were “stolen” from the defence ministry. Later, he changed his tone and said that they were photo-copies. N Ram has made it clear. “We didn’t pay any money for this information” (it) came on its own, purely in public interest”. Herein lies the strength of our vibrant democracy, and the public vigilance. Prevailing atmosphere in the country has to end. Undoubtedly, defence matters have to be dealt with carefully. Strategic and operational affairs have to be classified. But the tendency today is to discourage a free debate even on routine matters of pricing etc. Secretiveness is the antithesis of democracy. It indirectly aids to corruption and corrupt practices. Less of secrecy and more of openness are the basic requirements for building our much-needed corruption-free polity. This could help strengthen the roots of democracy. Equally crucial is the simplification of procedures. For this, it is necessary to reorient the administrative structure and revamp the established procedures with a view to helping honest citizens. The real challenge before us is how to ensure transparency and public accountability which must be part of our working democracy.